Move toward success with a captivating web presence! 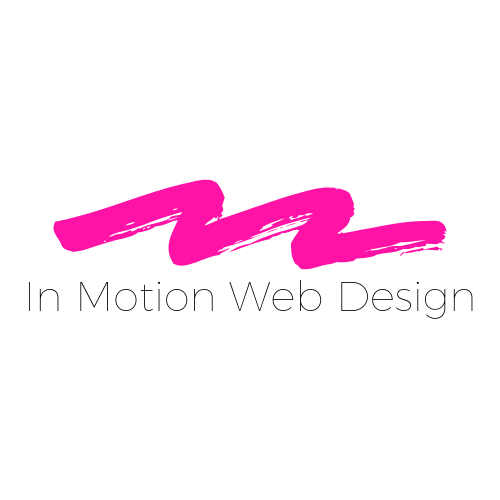 In Motion Web Design helps companies do exactly what the name says, get ‘In Motion’. A clean and functional site can set you apart from competitors and help customers choose you! Stylists, non-profits, musicians, bloggers, no matter how big or small, your website is your virtual business cards that keep customers coming back for more. I specialize in turnkey websites that work for you. Let me help you capture your audience, automate your scheduling, display your portfolio or whatever else you need so that you can focus on what you are most passionate about. Curious to know how I bring your ideas to life? Read on to find out more! I know what you really came here for. You want to see my quality of work and project successes. I don’t blame you! Buyer’s remorse, not included. Getting to know my clients is an important part of my job, so in return, let me tell you a little about In Motion and myself. In Motion handles your web design so you can spend time doing the things that you care about, setting your business In Motion. You don’t have to take my word for it. I’ll let my clients tell you everything you need to know.